Part of the reason the water and jungle at Milne Bay is so pristine is that getting there is an adventure in and of itself. It took us 4 flights (23 hours in the air), two hours by car (also an adventure,) and a half hour boat ride to get from San Francisco to the Tawali Resort. It was exhausting. It was grueling. It was worth it. The Tawali caters to divers, and serves no more than 30 guests at a time. I cannot speak highly enough of this operation. Even though we were in a remote location, every luxury was provided. The rooms were spacious and air conditioned, the food was fresh and tasty, and the dive boats and equipment were top notch. 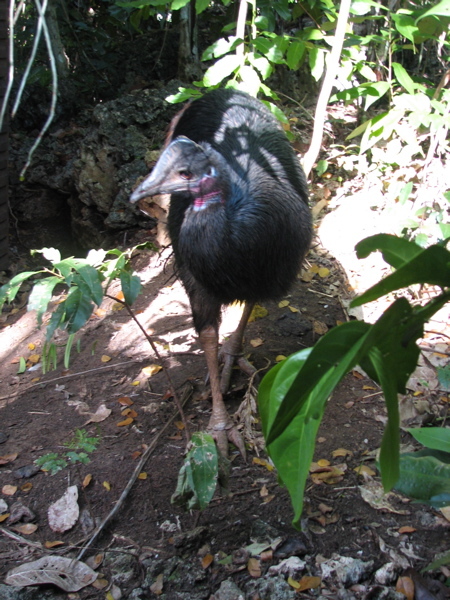 The resort even had a mascot, a female cassowary in a very large pen – apparently there had been two cassowaries, until the local tribe decided to redistribute the bounty by eating the male during a local feast. Management arranged great childcare for our 4-year old daughter, who happily went off to play in the local village every day as we readied our dive gear. 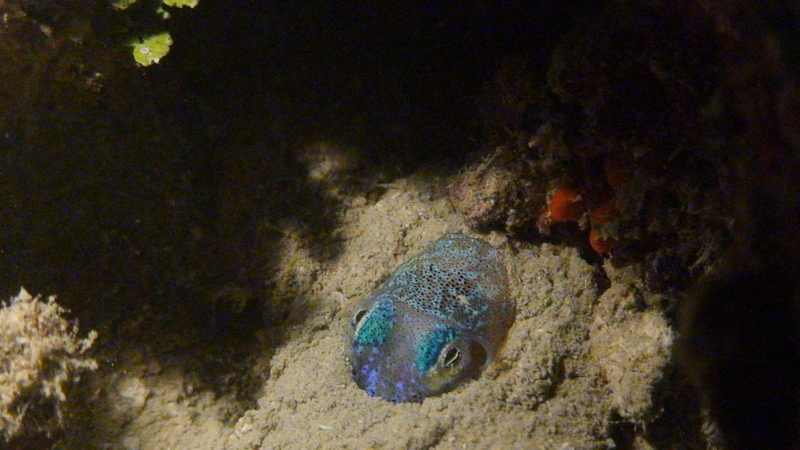 A bobtail squid buries itself near the Tawali house reef. Photo by Richard Ross. 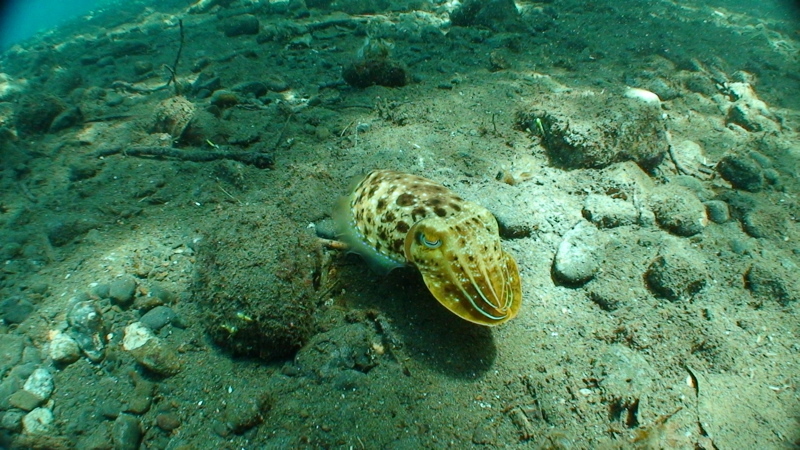 A cuttlefish flashes warning colors. Photo by Richard Ross. 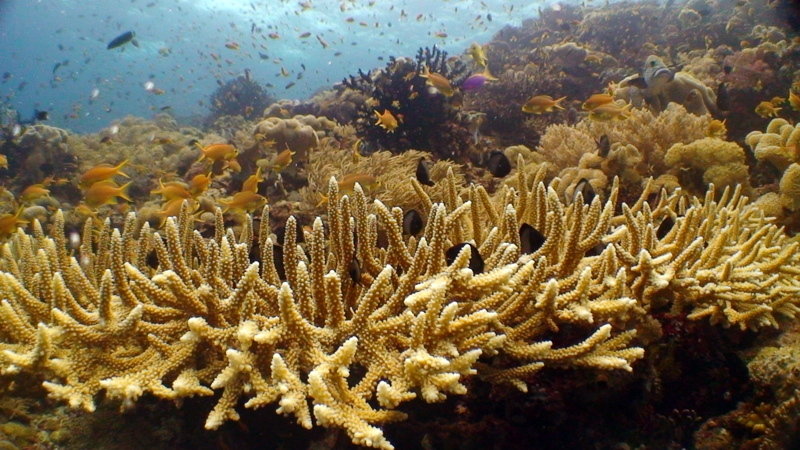 Huge schools of fish swim above the reef. Photo by Richard Ross. I believe that part of our challenge as aquarists is to find creative solutions to complex cultural and ecological conundrums. Tawali navigates these issues with grace. The resort was built next to a beautiful fringing reef that the locals fished for food. In order to protect their patch of coral from over-fishing, the resort spent the time and money to build an artificial floating ‘reef’ platform a few hundred feet away from the coral. The larger fish love the new habitat, the locals love the convenience of being able to fish from the platform, and the divers love the fact that this leaves the coral undisturbed. This creative solution has resulted in a house reef full of cuttlefish, bobtail squid, balls of coral cats, and giant nudibranchs. 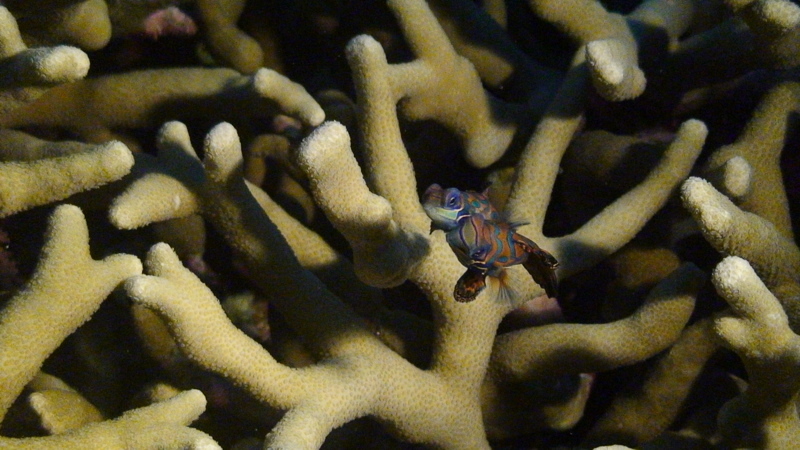 The highlight of the house reef is a nook with two large patches of branching Porites where, as night falls, pairs of mandarin dragonettes rise from the coral head and hover in a mesmerizing mating dance. 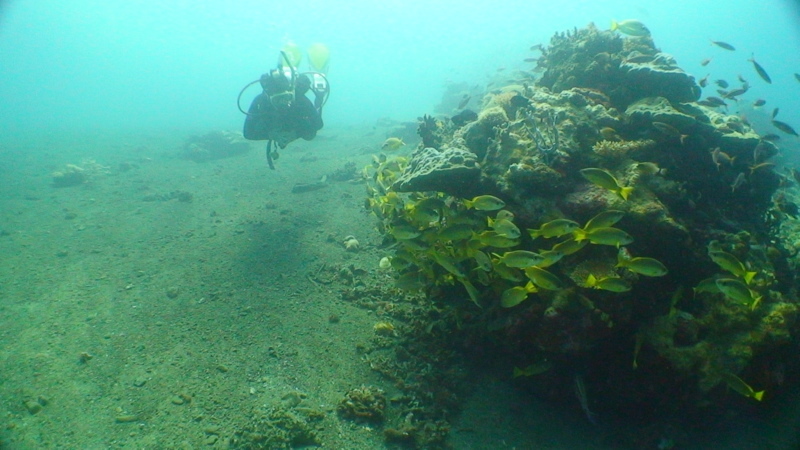 Milne Bay’s deeper waters are home to spectacular coral reefs. These are the healthiest reefs I have ever seen – no trash, no breakage, no bleaching, and populated by plethora of vertebrae and invertebrate animals. 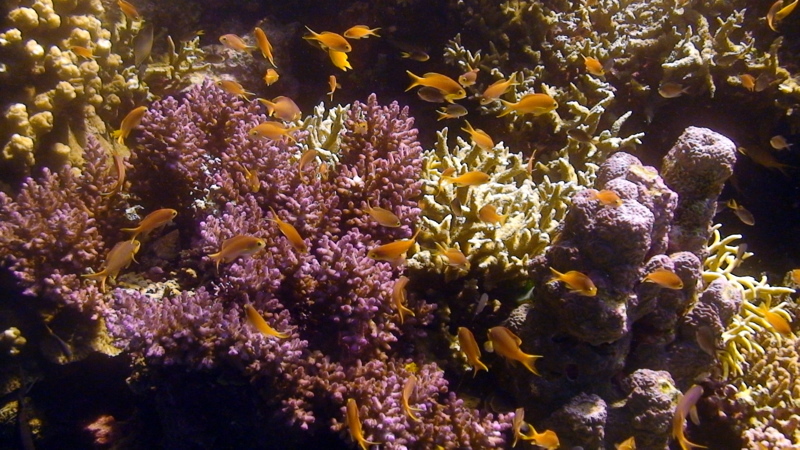 Mantas, rhinopias, turtles, crinoids, clams and the giant schools of anthias fill the water. 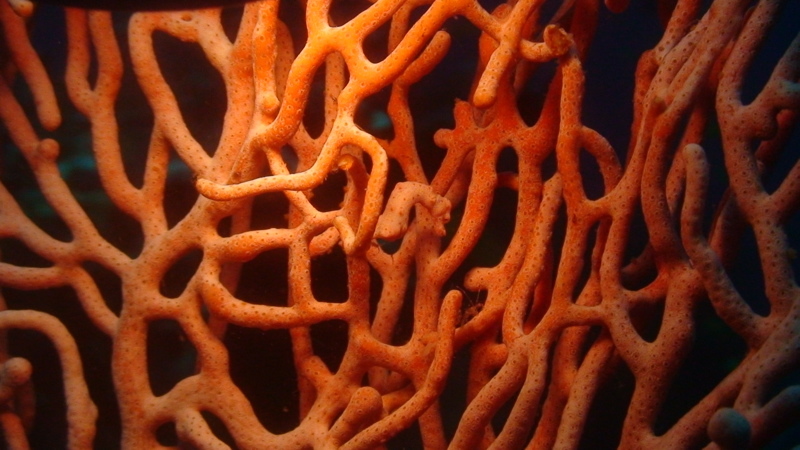 Below the reefs, were gorgonian forests, home to many animals, including two species of pigmy seahorse. Large tabling SPS, surrounded by softies. Photo by Richard Ross. 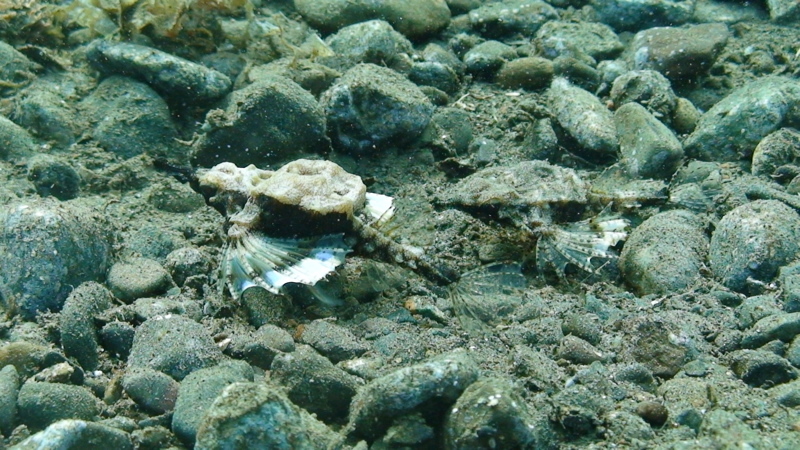 Pegasus sea moth pair, in 4 feet of water. Photo by Richard Ross. As a reef keeper, I was astounded by the variety of both hard and soft coral. Branching, tabling, plating… it was all there. There were fields of staghorn that took minutes to swim over. 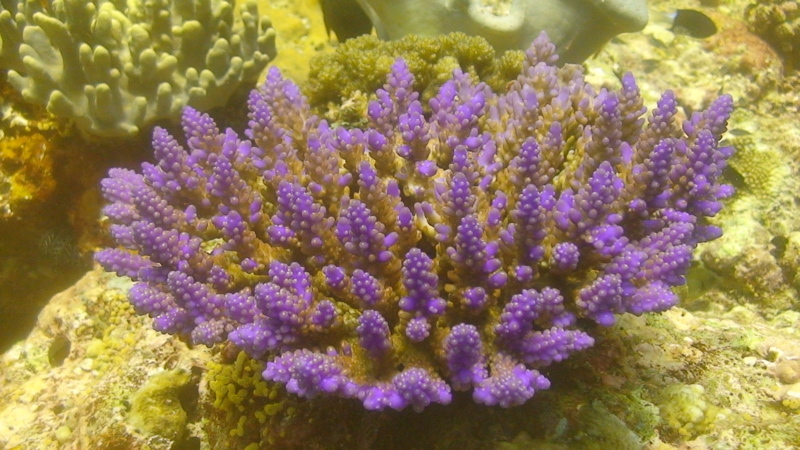 Heavily prevalent were large branching colonies of green Tubastrea, bright pink/purple Acropora and red/orange softies. I was torn between wanting to get someone to set up a collecting station right away, and wanting to never tell anyone about this place. On the one hand, the income would certainly be welcome to the locals while reefkeepers back home would certainly would love to get some of the animals from the area into their home tanks. On the other hand, there are so few pristine areas left in the world, I couldn’t help but hope that this one might be left alone. 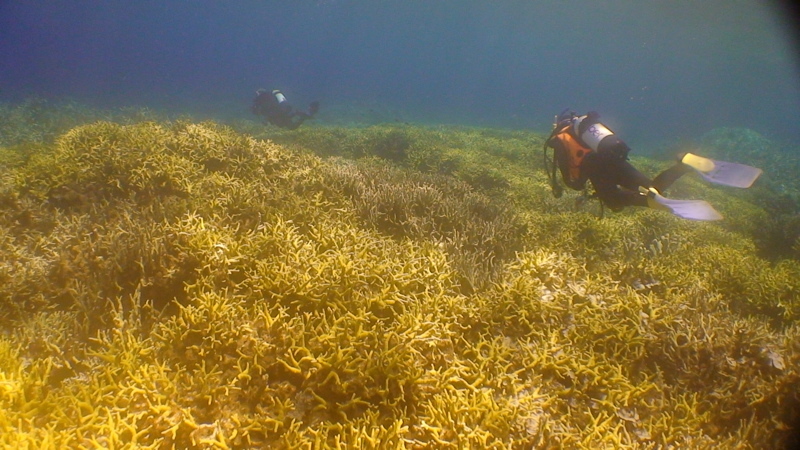 As wonderful as the reefs were, our favorite marine environment in Milne Bay was the muck fields. These huge, undulating vistas of settled silt and mud appear gray and lifeless at first glance. The creatures living there are generally masters of disguise; but if you have a keen eye, or a good dive master (which Tawali provides) the landscape is crowded with bizarre and wonderful discoveries. Pegasus Sea Moths, seahorses, crocodile fish, cuttlefish, octopus, ghost pipe fish, mantis shrimp, frogfish, and an unbelievable assortment of nudibranchs inhabit the landscape. Most of them live in shallower water, above 60 feet, which can lead to some seriously long dives – 90 minutes plus of slow, effortless, bizarre discoveries. A small 'cleaning station' or patch reef sprouting from the muck. Photo by Richard Ross. Clams and tabling Acropora side by side. Photo by Richard Ross. 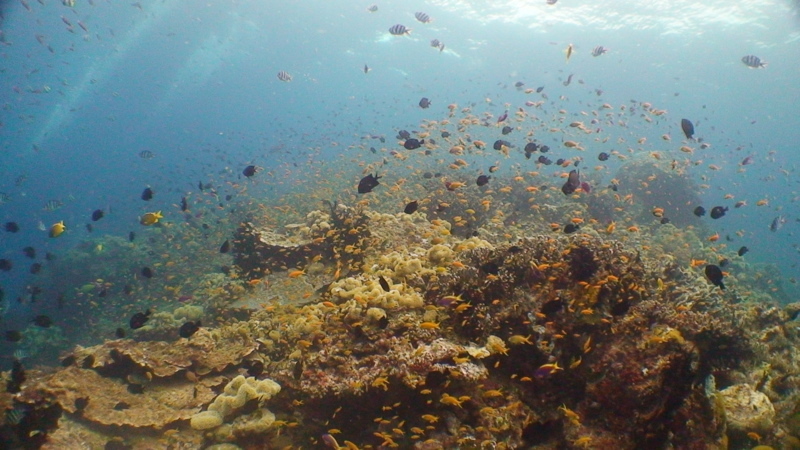 Occasionally, you’ll find small patch reefs right in the middle of the muck, which the local dive guides call ‘cleaning stations.’ One minute you are swimming along over a desert of colorless muck, and suddenly you encounter a colorful oasis. Huge brain corals, branching corals and an overwhelming density of reef fish all crowd together in spaces as small as 8 feet in diameter. These little reefs are like fantasy tanks: densely populated by lionfish, pipefish, cleaner shrimp, coral banded shrimp, anemones, clown fish, puffers – even a giant school of cardinal fish. You can’t take one fin stroke without seeing something bright, exotic, or rare. It is an aquarist’s dream. 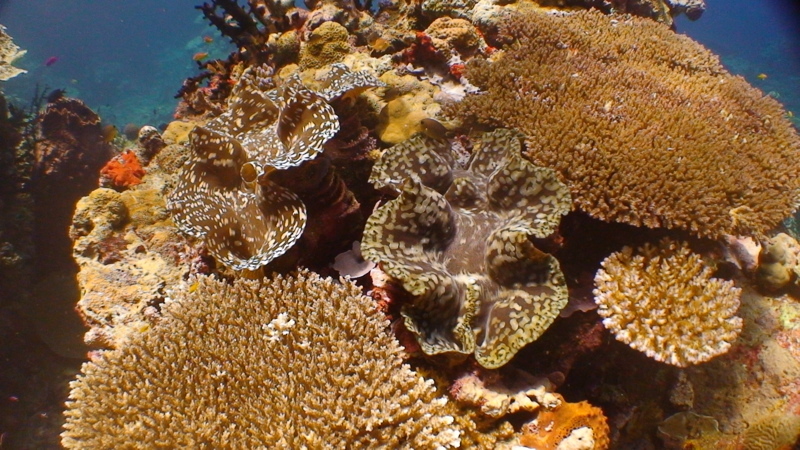 Colorful corals abound in PNGs reefs. Photo by Richard Ross. While my wife and I spent most of our time poking around underwater, I would be remiss in not mentioning what there is to see on land near Tawali. There are no roads, so the only way to a get anywhere is on foot or by boat. The jungles are thick and green, and just a few feet away from the coast the heat becomes oppressive. But, again, your suffering will be worth it. Hornbills fly overhead, their wings rasping together with a sound like a swarm of bees. You trudge and trudge, and finally come upon a fissure in the limestone, only to find a skull cave, where the bones of the locals ancestors’ are stored in astounding quantities. You are led past orchids, clouds of bugs, and walls of greenery to a crystal freshwater stream. You follow the stream to a clearing where a picturesque waterfall plunges down the rockface to pool just deep enough for a refreshing swim. Yes, there is suffering. But it’s worth it. Mandarin Dragonetts rise to mate at dusk. Photo by Richard Ross. A field of staghorn coral that seems to go on forever. Photo by Richard Ross. 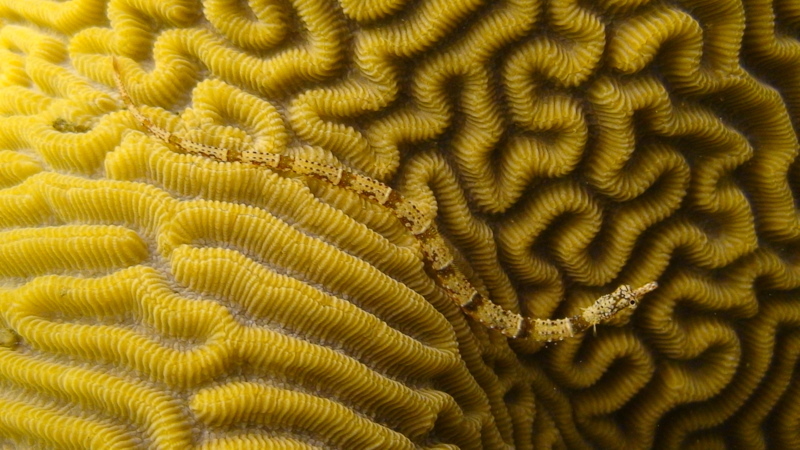 Dragon pipefish on a brain coral in one of the 'cleaning stations'. Photo by Richard Ross. PNG is very strange, culturally speaking. Many of the body language clues we use to communicate with those who don’t speak our language, simply don’t translate here. If someone looks at you and doesn’t smile, you have no idea what they are feeling. As long as we were traveling with someone from the resort, we were met with warmth and hospitality; wander off alone, and we found ourselves in an environment of suspicion and territoriality. 'Dusty' water above the muck on a windy day. Photo by Richard Ross. Pigmy seahorse blends into a gorgonian. Photo by Richard Ross. This coral invoked feelings of lust and greed. Photo by Richard Ross. Rather than lessening our enjoyment in the trip, this strangeness added to it. When we finally arrived home, I felt as if we had really traveled. 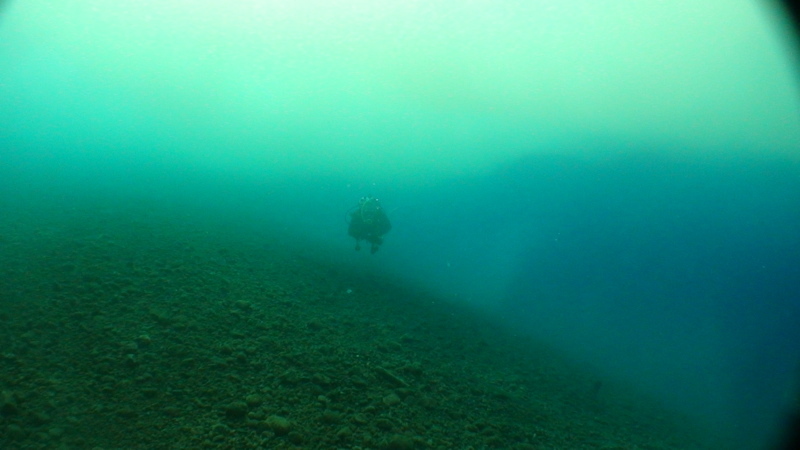 The time, the difficulty, and the expense were all worth it to see a glimpse of this pristine and strange world, both above, and below the surface of the water. 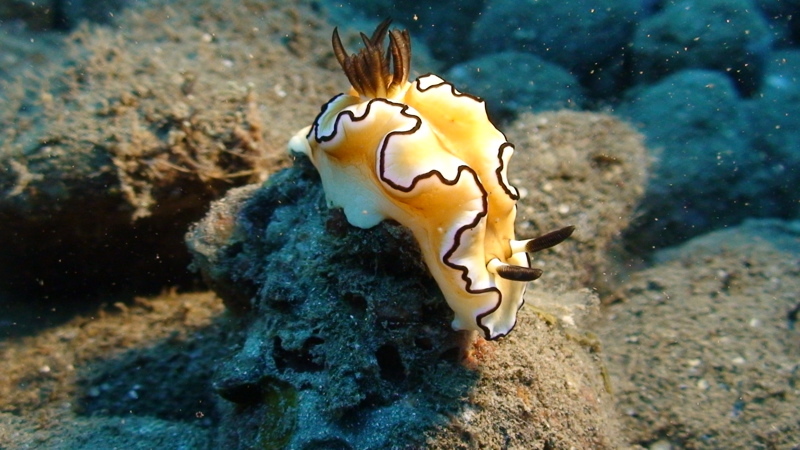 One of many nudibranchs. Photo by Richard Ross. 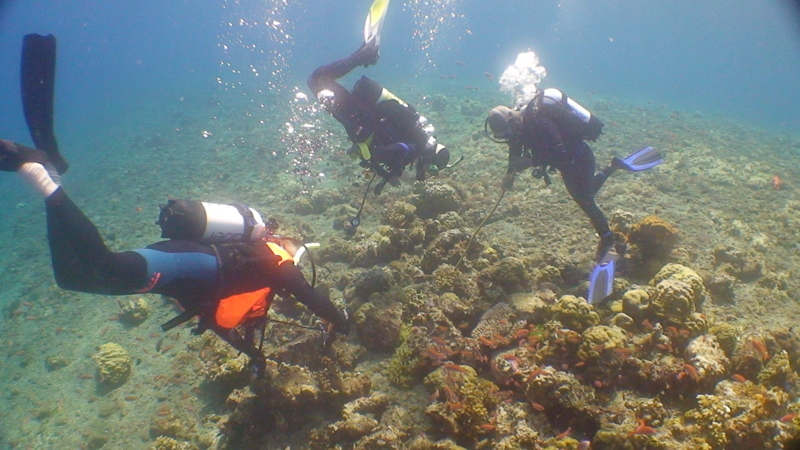 A diver follows a school of fish around a 'cleaning station' or patch reef. Photo by Richard Ross. 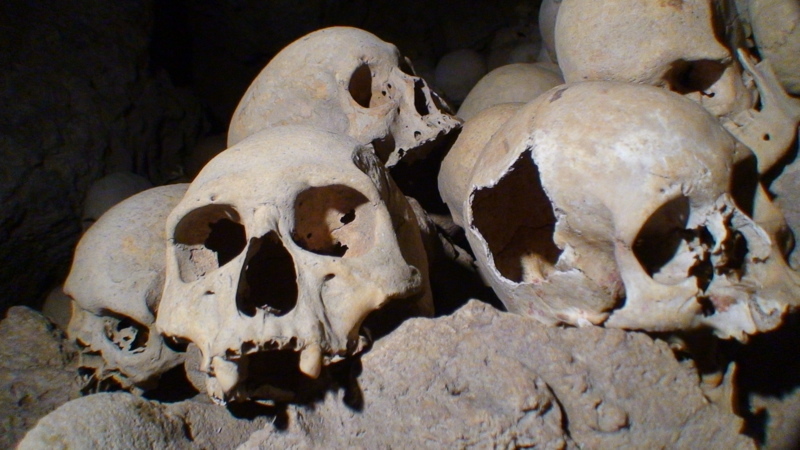 Skulls of tribal ancestors are piled high in the skull caves. Photo by Richard Ross. Our daughter was really hungry. Photo by Richard Ross. The Tawali resort's mascot, 'Cassie'. Photo by Richard Ross.